Noodles and beef in savory mushroom sauce is a great tasting meal whether you’re in survival mode after a disaster, or just looking for a quick meal on the go. Each package contains two 10 ounce servings, which is more than enough food for two or more people. You cook everything right in the pouch by adding hot water and waiting just 12 minutes. 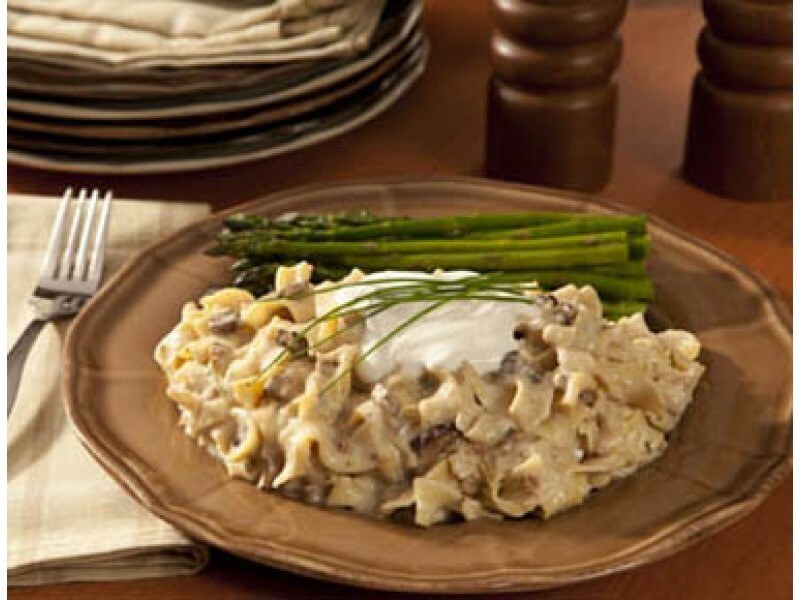 If you’re looking to add a little variety to your survival food stockpile, noodles and beef in savory mushroom sauce from Wise Foods is an ideal choice. This is not the type of thing most people expect to taste when it comes from a survival food package. While it can last for years on the shelf, it will still taste great when you pull it out and prepare it. Wise foods has made this noodles and beef in savory mushroom sauce with both nutrition and great taste in mind. Included in each package is two 10 ounce servings. Each serving has 350 calories and 14 grams of protein, which is perfect for keeping you going, even in the most stressful situations. Order several of these great tasting meals to add some variety to your existing survival stockpile, or pick them up when you’re just starting out. 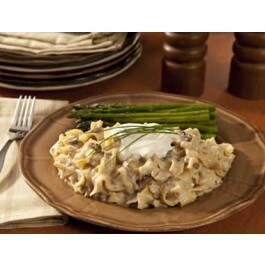 Noodles and beef in savory mushroom sauce can make a full meal, or an excellent side dish to enjoy. With two full servings in every pack, you can make sure everyone has plenty to eat at every meal. Stock up on this great tasting survival food today, and you’ll be ready to face any situation. Cook in the pouch noodles and beef in savory mushroom sauce entree. Just add hot water and wait 12 minutes. Then it's ready to eat!